Working on instinct, Tempe takes matters into her own hands. But she couldn’t have predicted where this case would lead, or the horrors it would eventually uncover...Can Tempe maintain a professional distance as the past catches up with her in this, her most deeply personal case yet? 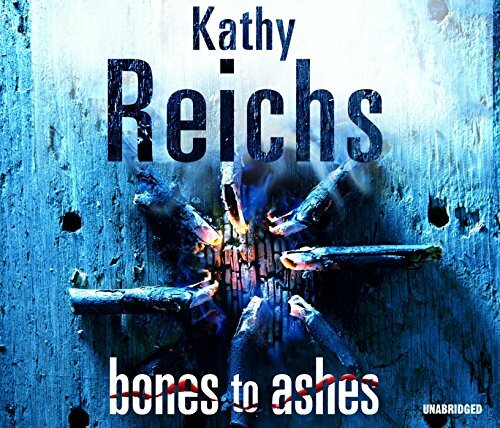 Review&colon; Kathy Reichs is something special. Since achieving a secure position in the upper echelons of crime writers, she has refused to rest on her laurels and (with only the occasional misstep) has consolidated her success with a series of novels that subtly finesse the formula that has gleaned her so many readers. Bones to Ashes is the latest title to add lustre to her reputation. Dr Temperance Brennan is examining the skeleton of a young girl, and finds herself losing the necessary distance she tries to maintain from all the cases she works on. Are the bones deformed or diseased? Or has some post-mortem damage been wrought upon them? Coroner Yves Bradette seems prepared file this information in the Dead Letters Department -- an ancient case, with no current relevance. But (as so often before) Tempe has other ideas, and something is stirring in her synapses -- a mystery involving the disappearance of a childhood friend. Matters are complicated when Detective Andrew Ryan (assigned to an allied case) asks Tempe to help with three missing persons – a trio of unidentified female corpses. Is there a serial killer at work?